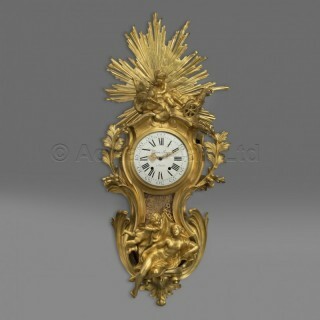 A Fine Louis XV Style Gilt-Bronze Cartel d’Applique, After a Model by Jacques Caffieri. The white enamel dial inscribed ‘Thiout Lainé/A PARIS’, with hours in Roman numerals and seconds in Arabic numerals, with pierced gilt-bronze scrolling hands. 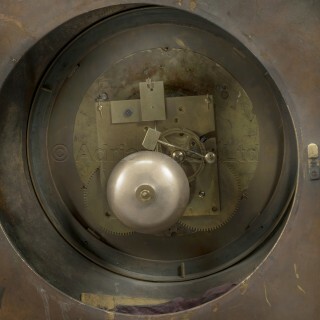 The twin train movement striking on a bell. This fine cartel d’applique is surmounted by a sunburst behind a cloudborne cupid driving his dove-drawn chariot above a an undulating pierced foliate panelled case with a figure of Psyche. 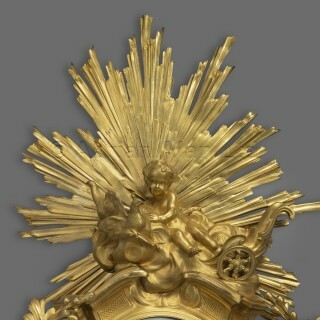 Of rocaille form this impressive clock is after the celebrated model by Jacques Caffieri dating from circa 1745, now conserved in the Museum of Fine Arts, Boston and illustrated in Tardy, “La Pendule Française des origines au Louis XV”, Vol. I, p. 190, fig. 1. The inscription to the dial is for the celebrated eighteenth century horologist Antoine Thiout l’aîné (1692–1767) author of the ‘Traité d’horlogerie méchanique et pratique’ in 1741 and much admired in the nineteenth century. Jacques Caffieri (1678-1755) a sculptor famous for his works in bronze, was the son of Philippe Caffieri (1634-1716), who emigrated from Naples to Paris at the request of Cardinal Mazarin to decorate the interiors at Versailles. He was elected to the Académie de Saint-Luc as a sculptor, and thus created many of the original designs that were proprietary models of his foundry. 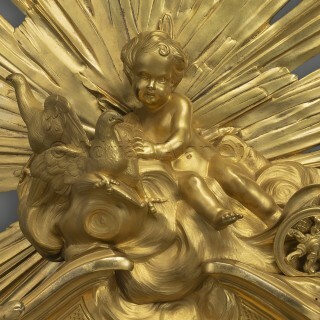 Jacques was received as a maître fondeur-ciseleur by 1715, the date of his first known work, a design for a pall for the Corporation des Fondeurs-Ciseleurs, one of the two Parisian guilds that oversaw works cast in metal. Caffieri was appointed fondeur-ciseleur des Bâtiments du Roi in 1736. Following this a large proportion of his best work as a designer and chaser in bronze was executed for commissions to the crown at Versailles, Fontainebleau, Marly, Compiègne, Choisy and the Château de La Muette. In fact he executed so much work for the crown that they were forever in his debt, still owing him money at his death. In 1740, Caffieri’s wife purchased a royal privilege, which allowed the Caffieri workshop to gild bronze as well as cast it within the same workshop; ordinarily the processes were divided between two Parisian corporations, jealous of their jurisdictions, the fondeurs-ciseleurs and the ciseleurs-doreurs. 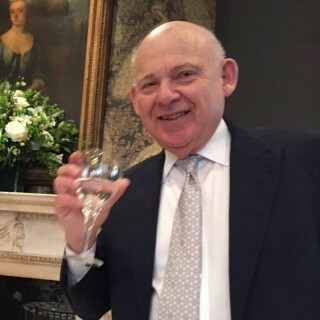 This privilege further set Caffieri apart from his rivals. Ottomeyer, Hans & Proschel, Peter. Vergoldete Bronzen, Vol I, Klinkhardt & Biermann, (Munich), 1986; p 137, pl. 2.10.3. Verlet, Pierre. Les Bronzes Dorés Français du XVIIIe siècle, (France), 1987; p. 288, pl. 324. H. Ottomeyer, P. Proschel et al., “Vergoldete Bronzen”, Munich, 1986. vol. I, p. 117. Tardy, “La Pendule Française des origines au Louis XV”, Vol. ; p. 190, fig. 1.